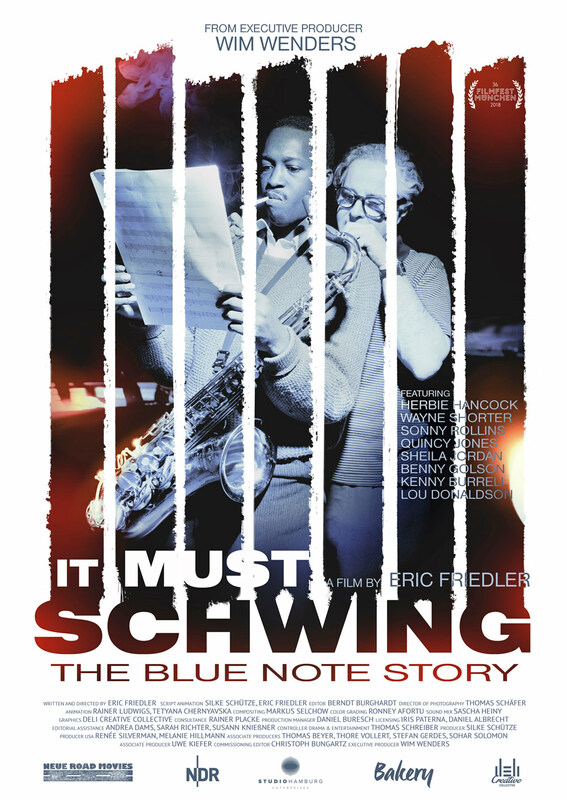 ”A Gesamtkunstwerk – the film chronicles how the legacy of Blue Note was created. It Must Schwing! Alfred Lion (1908-1987) and Francis Wolff (1908-1971) first met when they were teenagers in their home city of Berlin. Their close friendship was cemented by a mutual love for contemporary American music. After 1933, their Jewish faith made it increasingly difficult for them to live in Nazi Germany, and Alfred became the first of the two to make the move to America. But they always knew that jazz was their vocation and that one day they would try to earn their living together recording the music they loved. Francis Wolff escaped to New York on one of the last ships to leave Germany without being scrutinised by the Gestapo, Hitler's secret police. Reunited, the two friends worked together for their record label, Blue Note Records. Alfred, the talent scout and producer, created the unmistakable Blue Note sound with the assistance of the congenial recording engineer Rudy Van Gelder (1924-2016); and with his photographs and the ideas of graphic designer Reid Miles (1927-1993), Francis developed the unique look of the Blue Note records. The company grew slowly from humble beginnings and the two never attained real wealth - but they did leave an indelible mark on the history of jazz music. The most important thing was that the music had the right swing, or as Alfred Lion used to put it in his characteristic accent, when issuing the only instruction he ever gave to the musicians: "It must schwing!" At a time when Afro-American artists in the USA were discriminated against and ostracised, the Germans Alfred Lion and Frank Wolff regarded the musicians they signed as admirable, extraordinarily talented people. They simply wanted to show their respect to these artists and treated them with tremendous dignity and humanity. Long before the civil rights movement reached its peak in the 1950s and 1960s and Martin Luther King Jr. gave his famous "I have a dream" speech in Washington, Blue Note records had already turned this utopian vision into a reality. Alfred Lion and Francis Wolff should now be recognised as early supporters of this movement. Irrespective of skin colour, they worked on an equal footing with all their artists and discovered jazz greats such as Herbie Hancock, Quincy Jones, Sonny Rollins, Wayne Shorter, Miles Davis, John Coltrane, Thelonious Monk, Ornette Coleman and Ron Carter. 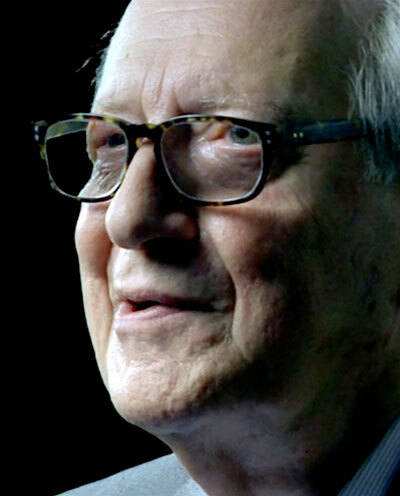 In 1965, Alfred Lion and Francis Wolff sold Blue Note and Alfred retired. Francis Wolff, who had continued working for the label, died suddenly in 1971; on his tombstone it says "Friend of Alfred Lion". Blue Note is like home base, it's the core where I began my career. „Takin' Off“, his first album on Blue Note, was released in 1963. The record includes „Watermelon Man“, which is still one of his most popular pieces. Hundreds of musicians have covered the tune since then. Herbie Hancock was signed to Blue Note Records until 1969. After leaving the label, he frequently changed styles and in the early 1970s he switched to soul-influenced „electric“ jazz. 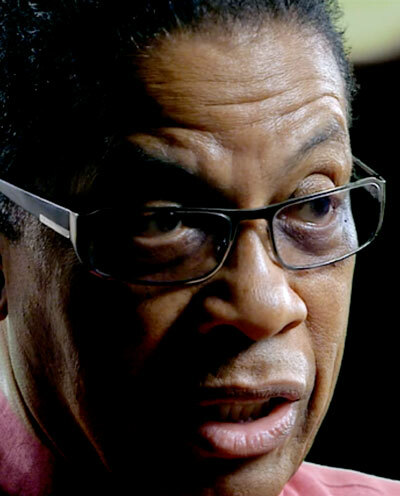 Herbie Hancock is president of the Harlem Jazz Center in New York. The Lion and the Wolf we called them... They never gave up with their mission. Because looking at them from the outside, we can say they were on a mission. The saxophonist and composer Wayne Shorter played for Horace Silver and Maynard Ferguson. From 1959, he was a member of Art Blakey's Jazz Messengers until finally recording his first solo album „Night Dreamer“ for Blue Note in 1964. He is still signed to Blue Note today. In 1970, Wayne Shorter, Joe Zawinul and Miroslav Vitouš formed the legendary band Weather Report. Fifteen years later, Shorter left the band, recorded solo albums and toured with artists such as the Rolling Stones. 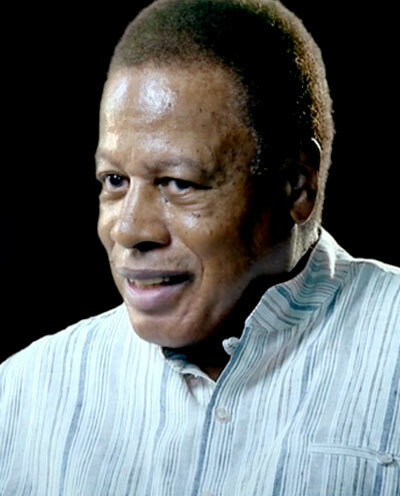 Wayne Shorter has been awarded the Grammy ten times. He also has an honorary doctorate in music from Berklee College. I'm not sure at that point the industry was prepared to accept all these Afro-American guys as great players, except Frank and Alfred. 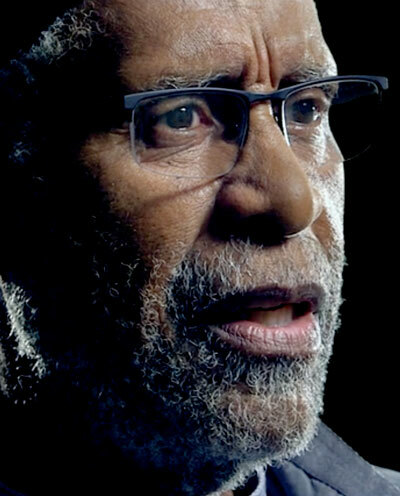 Having played on more than 2,000 albums, Ron Carter is one of the most recorded bassists in the history of jazz. 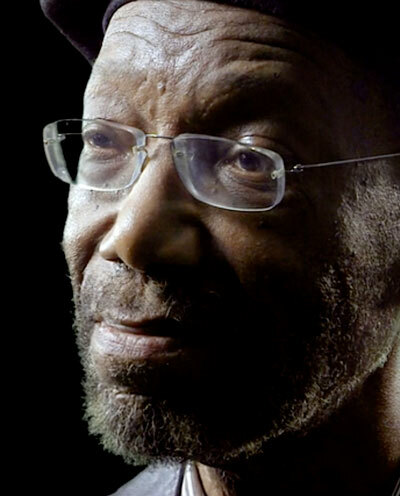 He has played with many musicians, including Herbie Hancock, Wayne Shorter, Miles Davis and Horace Silver. He has been under contract to Blue Notes Records a number of times since 1962. Since 2008, he has been a member of the faculty at the Juilliard School in New York and teaches jazz bass there. With „Building Jazz Bass Lines“, he created a standard work for jazz bassists. 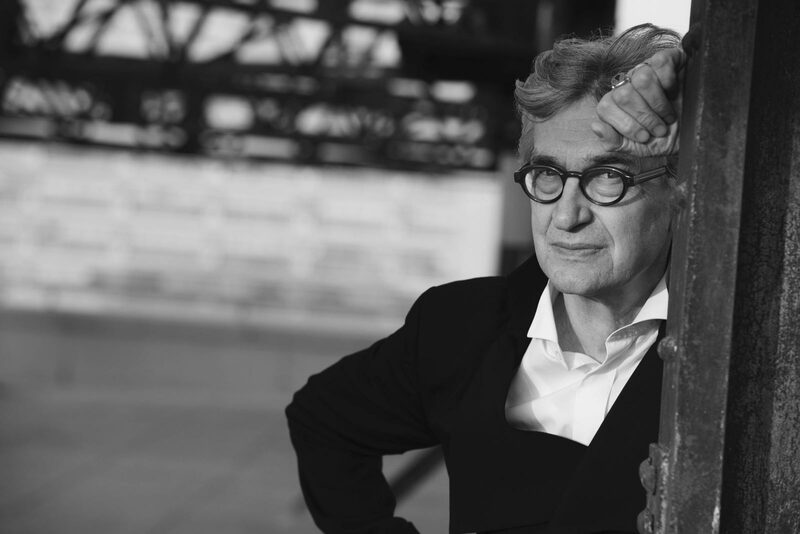 He is the recipient of two honorary doctorates: one from the New England Conservatory of Music and one from the Manhattan School of Music. Ron Carter still plays all over the world. He's the soundman of all time. I don't know what it is; I don't know what he does, but all I know is he does it. 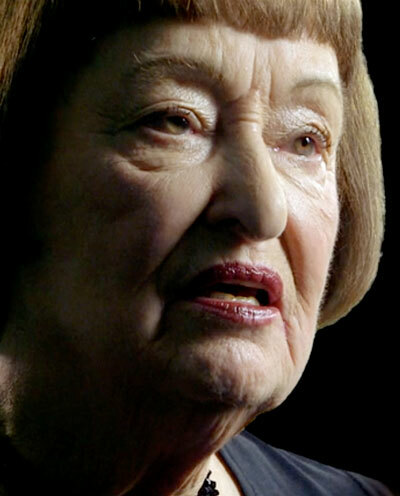 In his only German interview, Blue Note Records founder Alfred Lion talked in glowing terms about Sheila Jordan: „[She] is a huge talent, an incredible singer with so much feeling and totally, totally modern.“ Two years earlier, the American jazz singer had recorded her now legendary LP „Portrait of Sheila“ (1962). She is one of the few vocal artists to have recorded an album of their own for Blue Note. Sheila Jordan can look back on a career spanning 70 years. She works as a singer and vocal coach. She still tours internationally and regularly performs in Germany. I don't think they were trying to make records for the sake of selling a lot of records. They wanted to make records that were important - important art, by important artists. 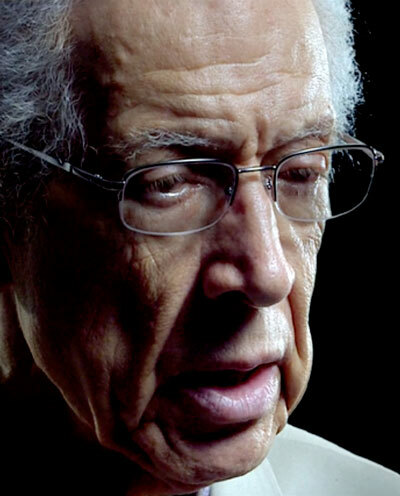 The jazz guitarist Kenny Burrell has worked for Blue Note Records since 1956. He has played with many musicians, including John Coltrane, Benny Goodman, Bill Evans, Stan Getz, Billie Holiday, Quincy Jones, Oscar Peterson, Sonny Rollins, Jimmy Smith and Stanley Turrentine. 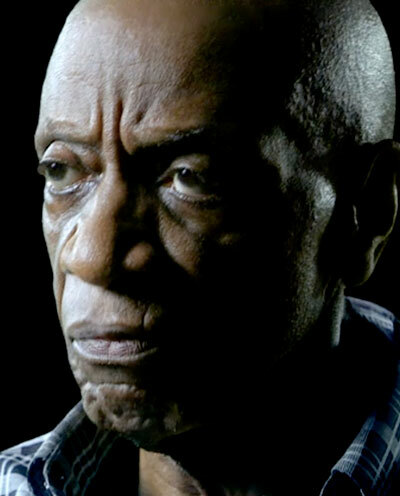 He can be heard on more than 100 recordings, among them the legendary LPs „Midnight Blue“ and „Then Along Came Kenny“. For four years in succession (1968-1971), the renowned jazz magazine DownBeat named him Jazz Guitarist of the Year. Kenny Burrell lives in Los Angeles. To be that concentrated on something such that other things didn't really matter, except that one thing. We were very blessed. The bassist Cecil McBee originated from Oklahoma and went to New York in 1963, where he soon began working for Blue Note Records. He has played with many musicians, including Blue Note colleagues Jackie McLean, Lee Morgan, Herbie Hancock and Sonny Rollins, and still performs internationally. Cecil McBee lives in New York. It had to swing. It had to swing: 'ting-ting-ti-ting-ting-ti-ting-ting-ti-ting'. And without that - it's not jazz. The trumpeter, flugelhornist and bandleader Charles Tolliver has been a member of the Blue Note family since 1964, when he made his first recordings for the label with the renowned saxophonist Jackie McLean. 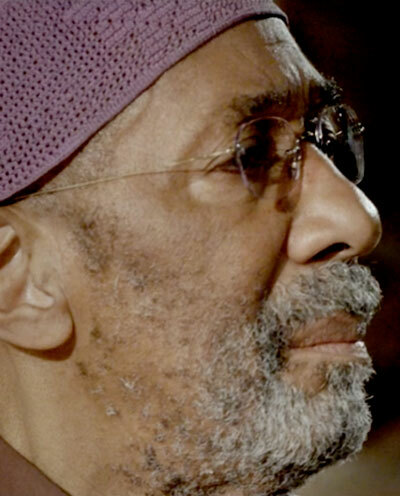 In his long, eventful career he has performed and recorded with many musicians, including Hank Mobley, Horace Silver, McCoy Tyner, Sonny Rollins, Booker Ervin, Gary Bartz, Herbie Hancock, The Gerald Wilson Orchestra, Oliver Nelson, Andrew Hill, Louis Hayes, Roy Ayers and Art Blakey & the Jazz Messengers. Charles Tolliver lives in New York. I don't know of any other record company on this planet that worked like that. Not a single one. The German clarinettist Rolf Kühn is one of the most famous jazz musicians in the world. At the age of eight, he began piano lessons with musical director Arthur Schmidt-Elsey in Leipzig, Germany. However, two years later, in 1938, the Nazis forbade him from attending lessons, since his mother was of Jewish faith. Kühn then was forced to visit his teachers in secret. In 1956, he moved to the USA, where he made guest appearances with a number of performers, including Caterina Valente, and met Alfred Lion and Francis Wolff. In 1957, the DownBeat poll named him the new star of the clarinet. In 1962, he returned to Germany, where he was leader of the NDR Television Orchestra until 1968. 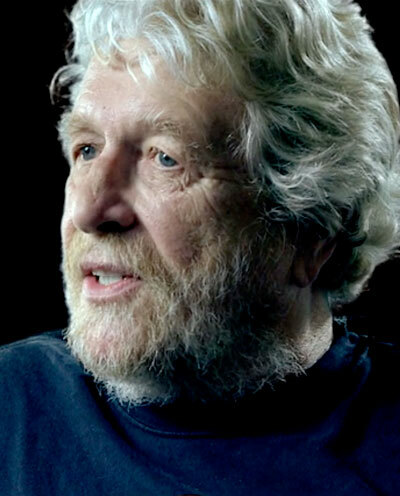 Rolf Kühn has composed the music for countless cinema and television films. This [Blue Note] live recording at „Birdland“, that´s the birth of „The Jazz Messengers“ really and that to me; that´s still one of the standard musical things in that genre. Dan Morgenstern is a historian, archivist, author and lecturer and has dedicated himself to one single subject for more than 60 years: jazz. From 1967 to 1973 he was editor-in-chief of the influential DownBeat magazine. He has produced some of the best writing on music in existence, having been awarded eight Grammys for his liner notes alone. My father and Francis (...) had known each other since at least 1934. They were jazz enthusiasts. (...) They called themselves the „Melody-Club“. For the former president of the Berlin District Court, Peter-Joachim von Drenkmann, jazz lay at the heart of the friendship between his father, Günter von Drenkmann (president of the Berlin Court of Appeal, who was killed by terrorists in 1974) and Francis Wolff. They both fell in love with the new American music when they were teenagers. Von Drenkmann senior experienced his friend Francis's escape to New York at first hand - the family still have a postcard from the ship on which Francis Wolff left Germany for New York in 1939. The friendship between the two families continued after the war. But Blue Note had the Francis Wolff photos of the artists, and that in itself was a statement. 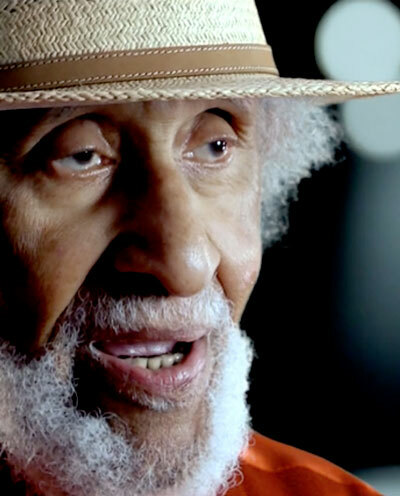 Sonny Rollins was signed to Blue Note Records from 1949 to 1957. During this time, he made important recordings such as „St. Thomas“ or „Way Out West“, which have since become jazz standards. In the late 1950s, Sonny Rollins left the music business and instead he frequently played against the noise of the road traffic on Williamsburg Bridge in Manhattan. This is why he called his first recording after his comeback The Bridge. Miles Davis called him „the greatest tenor saxophonist of all time“. We watched the genesis and the evolution of America's most powerful music. They knew what they were doing, they got their chops together, and it's taken over the world. 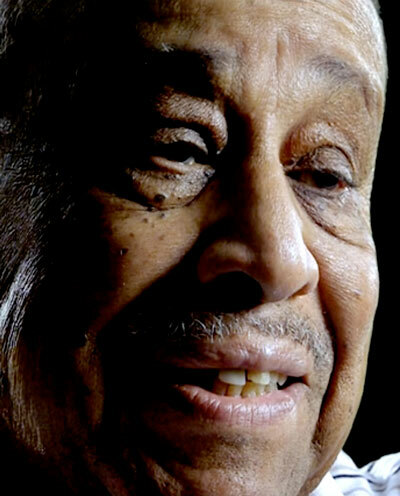 Musician, arranger, composer and producer Quincy Jones was already working on arrangements for the bassist Oscar Pettiford at the age of 17 and in the course of his work met jazz greats such as Charlie Parker, Thelonious Monk and even Miles Davis. The trumpeters Miles Davis and Clifford Brown have always been his main role models. 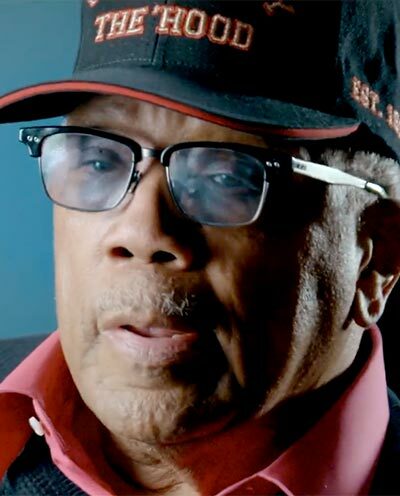 Today, Quincy Jones' arrangements rank among the classics of jazz, and together with Michael Jackson he produced the album „Thriller“, which is still considered to be the most successful record of all time. Blue Note is possibly the record company that changed the face of the music. And it changed the face of the music completely. The saxophonist Lou Donaldson was discovered by Blue Note co-founder Alfred Lion in 1952. Two years later, he was playing in the legendary Art Blakey Quintet at the side of band leader and drummer Art Blakey, pianist Horace Silver, trumpeter Clifford Brown and bassist Curly Russell. The most important sound document of this time is the live album „A Night at Birdland“, recorded in 1954 at the New York jazz club Birdland. With his „Alligator Boogaloo“, Lou Donaldson is regarded as one of the fathers of jazz, soul and funk fusion. He is a member of the International Jazz Hall of Fame and received the prestigious NEA Jazz Masters Fellowship in 2013. Blue Note sound was Alfred sitting next to me... If you hear a Blue Note record, you're listening to Alfred Lion, not to me. Rudy Van Gelder's fascination with sound technology began in his early youth. He set up his first recording studio in his parents' living room and cut records there for various labels, including Blue Note. In the late 1950s, he established his recording studio in Englewood Cliffs, New Jersey, just a few kilometres away from his parents' home. 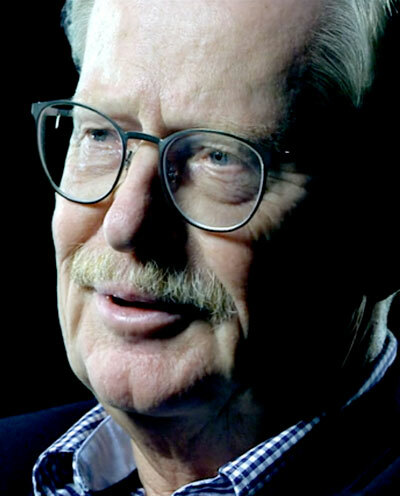 Between 1953 and 1972, Rudy Van Gelder recorded many albums for Blue Note Records and numbers that are now regarded as classics. Among his most famous are „Blue Train“, „The Sidewinder“, „Midnight Blue“ and „Maiden Voyage“. 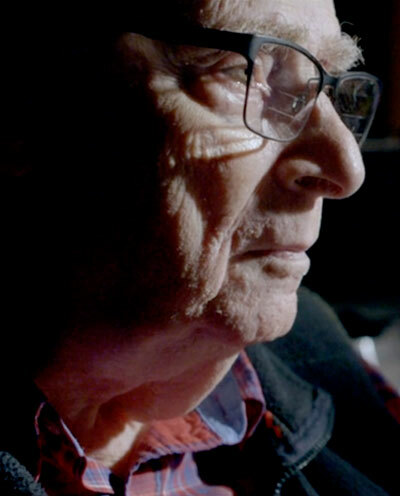 In 2016, a few weeks before his death, he gave Eric Friedler his last interview. 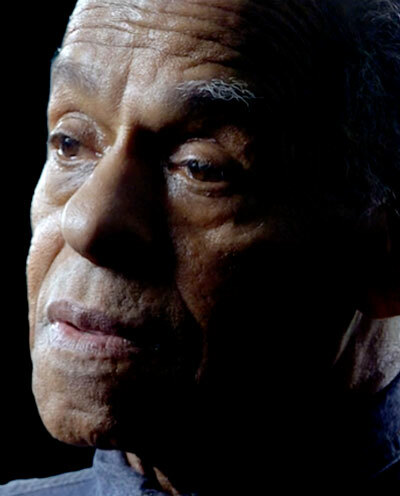 Blue Note payed tribute to the sound legend on its website with the words: „Thank you, Rudy, for all that you gave the world of music“. Physically they moved around, sometimes not in the groove that the music was in, but they had their own way of moving, it affected them. The saxophonist, composer, arranger and flutist Jimmy Heath worked for Blue Note Records from 1953 to 1961. He has been nominated for a Grammy three times and in 2011 he wrote his highly-regarded autobiography „I Walked with Giants“. 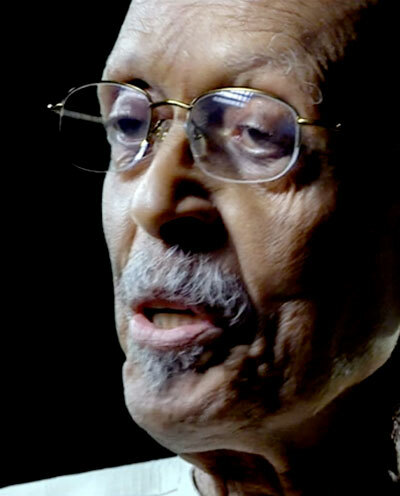 Jimmy Heath, who answers to the nickname „Little Bird“, lives in New York. We still had all that powerhouse stuff from last night in our minds. So the records held up over the years. 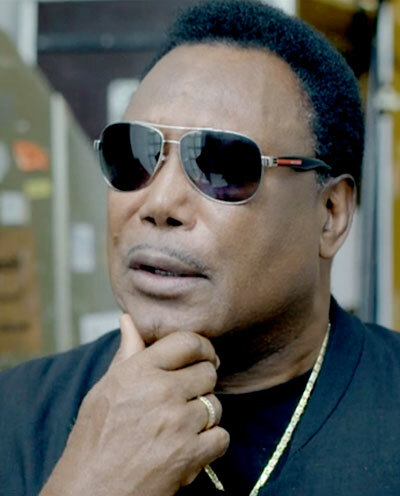 The jazz guitarist and singer George Benson is a ten-time Grammy award-winner. He has played with many jazz musicians, including Miles Davis and Lou Donaldson. His hits in the fields of pop, soul and disco include „On Broadway“ and „Turn Your Love Around“. He was signed to Blue Note Records from 1967 to 1996. I would say they were visionary. The bassist Reggie Workman has worked for Blue Note Records since the early 1960s. He has performed live with many groups and musicians, including Art Blakey's Jazz Messengers, Lee Morgan and Thelonious Monk. In addition to appearing regularly in concert, he now also works as a professor at the New School for Jazz and Contemporary Music in New York. You can't have a revolution without music. The jazz saxophonist, clarinettist and flutist was signed to Blue Note Records from 1967 to 1979. He has worked with many Blue Note colleagues, including Miles Davis, Herbie Hancock, Lee Morgan and Freddie Hubbard. He lives in Poland and Los Angeles and leads the Bennie Maupin Ensemble. Making money and living a great lifestyle was not their mission. (...) I don't think they thought twice about it, they just did it. 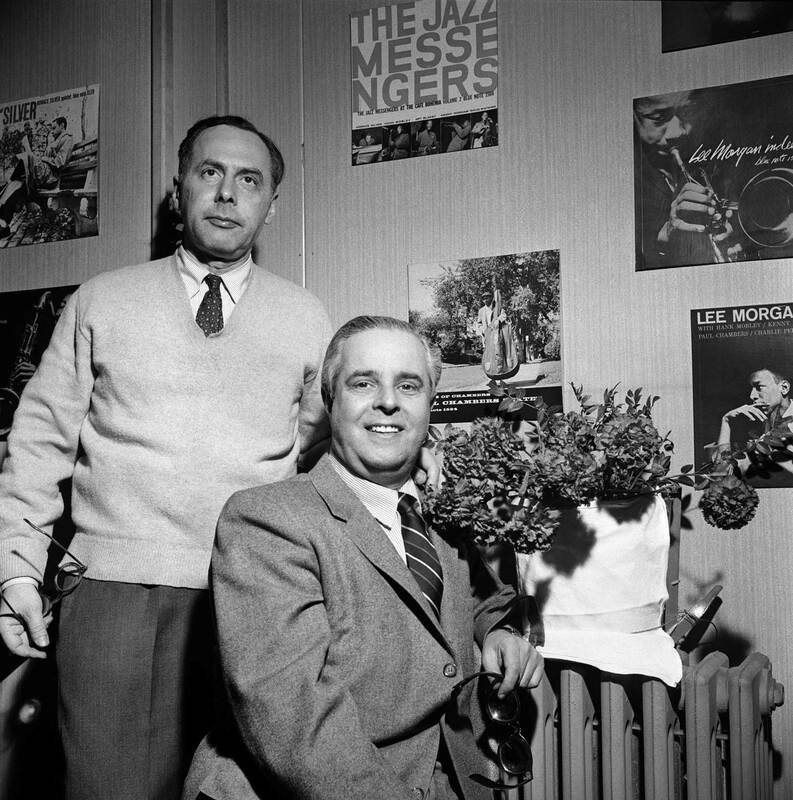 Together with Charlie Lourie, Michael Cuscuna founded Mosaic Records in 1982. Their aim: to release new limited-edition vinyl box sets of Blue Note recordings. Michael Cuscuna is also known as the „archaeologist of jazz“, because the Blue Note records reissued by him since the deaths of founders Alfred Lion and Francis Wolff have allowed the label to enjoy a veritable renaissance. 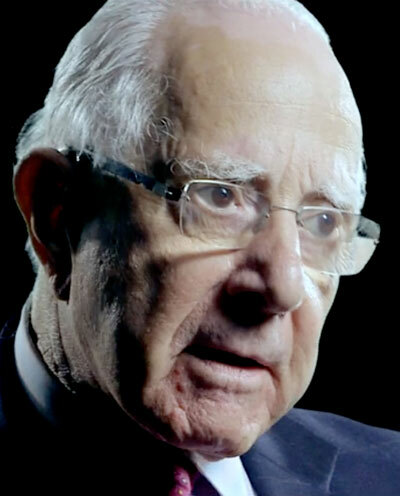 Francis Wolff's nephew lives in London, where he works as a academic and author. He remembers his uncle well, who brought him exciting jazz records from America when he was a boy. He describes Francis Wolff as „very quiet, modest, almost shy“. I think it should be the national anthem. It's deep. Deep. Great recording. Barry Singer about „Summertime“, recorded for Blue Note Records by Sidney Bechet in 1939. 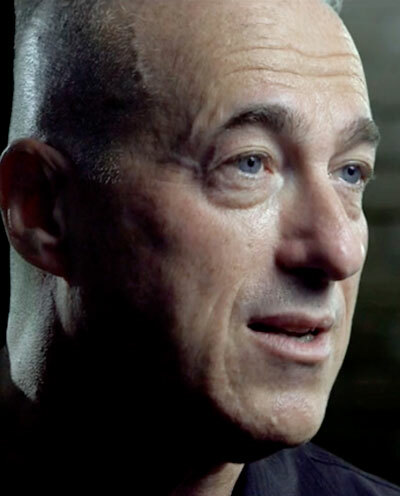 The New York author Barry Singer has an intimate knowledge of the New York music scene; he is also the biographer of Lorraine, Alfred Lions' first wife. After the divorce from Alfred, Lorraine married Max Gordon, the owner of the legendary jazz club „Village Vanguard“ - in this way remaining true to jazz. Barry Singer's highly readable book about Lorraine Gordon is called „Alive at the Village Vanguard: My Life in and Out of Jazz Time“. Blue Note was the first record company ever, which paid me for rehearsals. Renowned tenor saxophonist Benny Golson only worked a couple of years with Blue Note Records (from 1956 - 58). But he still recalls those years as an extremely important period in his life. His unique warm sound has coined a whole generation of jazz musicians. 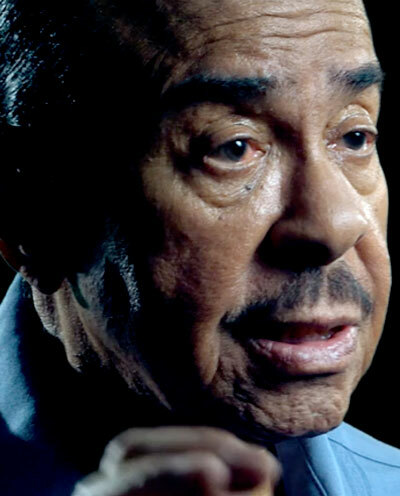 As a composer and arrangeur Benny Golson has worked on around 300 pieces of music and has performed with colleagues like wie Quincy Jones, Oscar Peterson, Ella Fitzgerald, Miles Davis, Benny Goodmann, Lionle Hampton, Shirley Horn, Count Basie or John Coltrane. His most famous compositions include „I Remember Clifford“, „Killer Joe“ and „Aloing Came Betty“. He became known to a wide audience by a guest appearance alongside Tom Hanks in the film „Terminal“ (2004, directed by Steven Spielberg). Benny Golson is a prize winnr of the Jazz Master Awards and holds an honorary doctorate from Berklee School of Music, Boston, MA. He still performs internationally. If you're a Jazz connoisseur (and even if you are not) the label BLUE NOTE is a household name for you: "Blue Note Records" is the one and only record company that released single-handedly most of the avant-garde jazz in the US from the Forties through the Fifties and Sixties. In 2019, the history of BLUE NOTE is 80 years old! Because in 1939, two German Jews emigrated to New York. They shared a common fascination for Jazz and for the great black instrumentalists who were playing amazing stuff, but who found no record companies that would publish their music in America. These two Germans started to record this music, photographed (for the first time) all these (now) legendary musicians for the record covers and produced albums that are now part of the classic repertoire of 20th Century music. "It Must Schwing! The Blue Note Story" combines extraordinary music documents and amazing period film materials with a newly conceived animation framework that tells part of the story of Alfred Lion and Frank Wolff. How else to tell their adventure, as there were no cameras around, of course, when they started to conceive their label with no financing at all, just their enthusiasm. They both spoke pretty poor English, and Alfred's classic advice as producer and engineer to his artists was: "It must schwing!" That also became the title of the film. "It Must Schwing! The Blue Note Story" is an unique film, not only for Jazz fans. 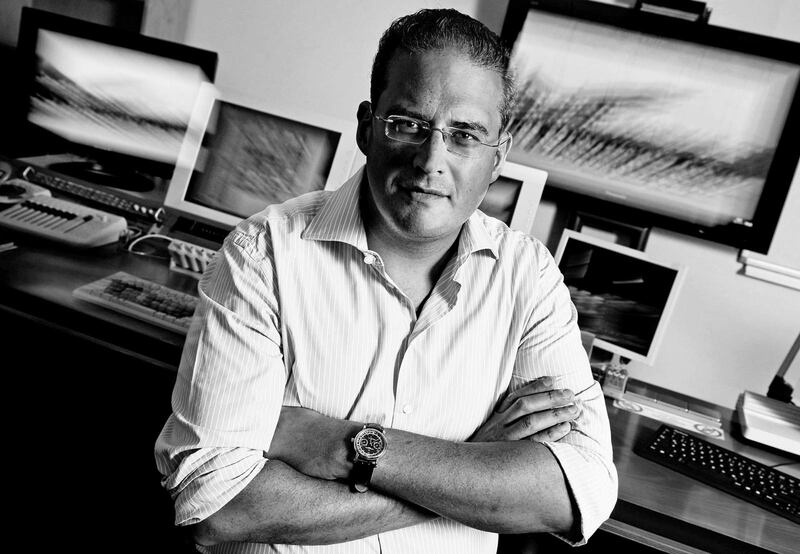 Eric Frieder is one of the most acclaimed and prolific documentary filmmakers in Germany whose innovative films have won numerous national and international prizes. He lives in Hamburg, Germany. What interested you about the story of the Blue Note record label? I've always been fascinated by the story of these two young Germans who went to America and in 1939 started a record label that went on to become a legend. While Hitler and the Nazis were setting the world on fire, the ingenious producer Alfred Lion and his childhood friend, the outstanding photographer Francis Wolff, were establishing the Blue Note Records label, which specialised in modern jazz - probably America's most significant musical form. Blue Note worked predominantly with Afro-American musicians and was the first record company to offer them an unrestricted public platform, as well as fair business and working conditions. Alfred and Francis were passionate about jazz, about free, improvised music that we would not be able to enjoy today if they had not recorded it. I was also interested in the special historical moment when America's Afro-American citizens began to loudly demand the rights that were owing to them - something they did with tremendous imagination and artistic variety. Or as the Blue Note musician Bennie Maupin put it to us when we interviewed him: "You can't have a revolution without music." In their recordings, Blue Note Records celebrated this revolutionary music. What was so special about the Blue Note label? Many, many things contributed to making the label what it was. The most important thing for me was the deep friendship between these two fundamentally different people - the extrovert mover and shaker Alfred and the reserved photographer Francis - who were nevertheless united by their mutual passion for jazz music. Their unswerving friendship remained intact for the whole of their lives - surviving their enforced emigration to the USA and separation from their families and relatives, many of whom were murdered by the Nazis. Against all the odds, they lived the dream that they had had as teenagers in Berlin: to produce exceptional and unusual jazz music and preserve it for the rest of the world. What's also especially significant about Blue Note is the fact that above and beyond the label's obvious importance for jazz music, it also had great political relevance. At a time when Afro-American artists in the USA were discriminated against and ostracised, the Germans Alfred Lion and Frank Wolff regarded the musicians they signed as admirable, extraordinarily talented people. They simply wanted to show their respect to these artists and treated them with tremendous dignity and humanity. Long before the civil rights movement reached its peak in the 1950s and 1960s and Martin Luther King Jr. gave his famous "I have a dream" speech in Washington, Blue Note records had already turned this utopian vision into a reality. Alfred Lion and Francis Wolff should now be recognised as early supporters of this movement. Irrespective of skin colour, they worked on an equal footing with all their artists and discovered jazz greats such as Herbie Hancock, Quincy Jones, Sonny Rollins, Wayne Shorter, Miles Davis, John Coltrane, Thelonious Monk, Ornette Coleman and Ron Carter. How did you go about choosing the protagonists? It's amazing how many of the musicians are not only still in good health at their advanced age, but that they also continue to be active in the music business, appearing on stages all around the world. They're lively and convivial and are simply great interviewees. There's Lou Donaldson, who still maintains his mischievous sense of humour at the age of 91; Benny Golson (89), who enchanted the entire film crew with his charm, and Sheila Jordan, also 89, who still fills jazz clubs in Germany to this day. 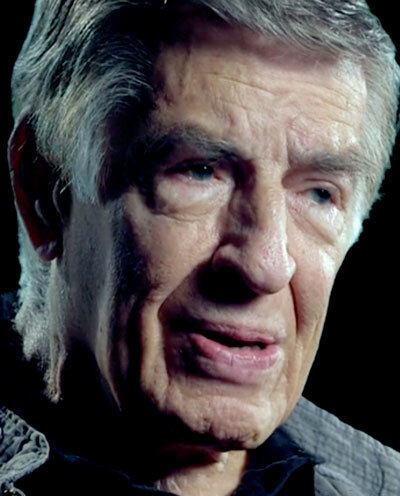 Besides meeting some of the most well-known musicians - such as Quincy Jones, Herbie Hancock, Wayne Shorter and Sonny Rollins - one of the special highlights of filming for us was talking to the ingenious recording engineer Rudy Van Gelder, who was able to give us his last interview shortly before his death. In "It Must Schwing! - The Blue Note Story", some sections of the film are animated. How did that come about? Whenever we couldn't find any archive photographs or weren't able to use the newly-shot footage to tell the story, we fictionalised certain scenes - just like in a docudrama. For example, there are no photographs or film material that show Alfred Lion listening to jazz for the first time in Berlin. Just as there's no film footage of Alfred and Frank's first visit to Thelonious Monk's apartment. We decided not to create re-enactments using actors, because recreating these scenes in animated cartoon form gave us much more freedom. After a series of intensive meetings with the animator, we finally arrived at the black-and-white look that you see in the film. In addition to this, we were also able to use an exclusive radio interview with Alfred Lion and Francis Wolff that was made by the NDR in New York in 1964, and which had been gathering dust in the archives ever since. The German correspondent Eric T. Vogel conducted the only interview in German with the two of them. The Girl - What Happened to Elizabeth K.?